I believe each kind of travel has its own effects on the traveler. To start with, let me categorise my travels to three. Urban Travel to be in awe of visible developments brought in by humans, Rural Travel to explore the true world and Nature Travel to explore your ‘self’ through nature. In any ways, travel is always a way to learn about ‘you’ and the ‘world around’ that you live in. There are other two categories that people talk about. ‘Adventure’ & ‘Spiritual’. But somehow or the other I feel these also fall into the same three categories I mentioned above as far as I am concerned. My last travel was a combination of all the three. I experienced the City of Joy ‘Kolkata’, the positive vibrations of ‘Shantiniketan’ and got spellbound at the nature’s wonders in ‘Sundarbans’. This was one of the travels I have done in my life that really moved me internally and externally. Travels with family and traveling alone have different dimensions. Like most of the travels after marriage, this travel was also along with my family. And I think they felt very happy. Kolkata consumes you, Shantiniketan enlightens you and Sundarbans actually helps you to know the true world you live in and also helps you to let you know yourself through nature. As I will not be doing justice to put all the three places in one document, I have decided to go one by one. First, I will cover Calcutta (Kolkata), and then the other two separately. Like in any cities across India, Kolkata also has her own Beauties and Beasts. And they coexist in total harmony. One difference here is that there is a definite culture vibrating always. It has all the woes of a city that was forced to grow inorganically in a rush to contain the ever increasing natives, invaders, rulers, the migrants and then the refugees. The two massive Bridges across the Hoogli River are the living testimonies of the new and old city which was just one City of Joy! 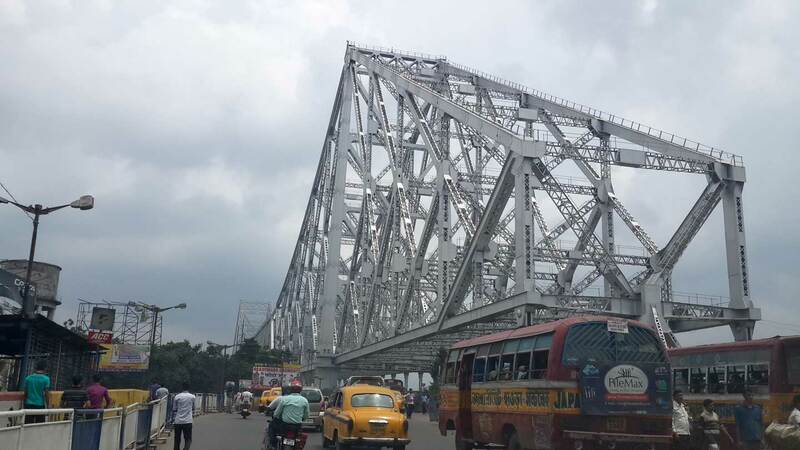 The famous Howrah Bridge (Rabindra Setu), the busiest cantilever suspension bridge in the world commissioned 1943, is a monster made of steel that symbolises the old city. 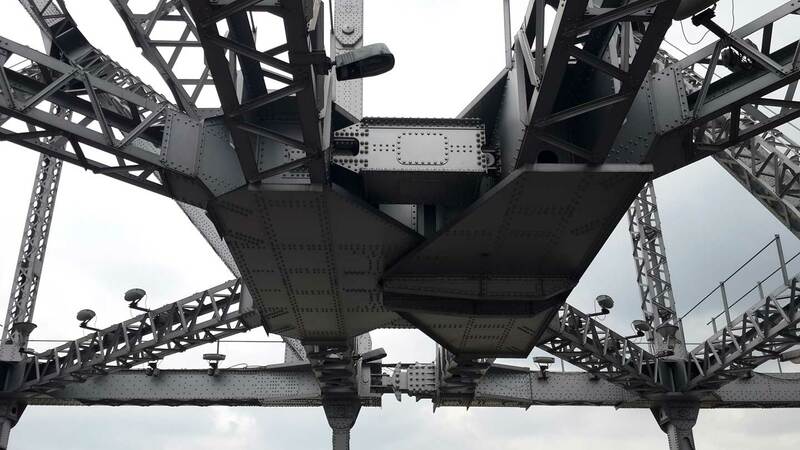 The bridge does not have nuts and bolts, but was formed by riveting the whole structure. The new Wired bridge (Vidyasagar Hoogli Bridge – Dbitiyô Hugli Setu), the longest cable–stayed bridge in India commissioned in 1992, shouts about the growth in the thoughts of the people that inhabit this wondrous city! The heavy honking of the vehicles I have never heard in any cities all through the trip started from the time I was waiting at the Airport for the car from the Hotel. I think all who drive there enjoy honking. The justification given by my driver was that ‘you need to shout to be heard!’. I suddenly remembered Arnab Goswami who started his career from the very same place. Some of the striking visuals are very normal to any city but thought of sharing as I found them interesting. 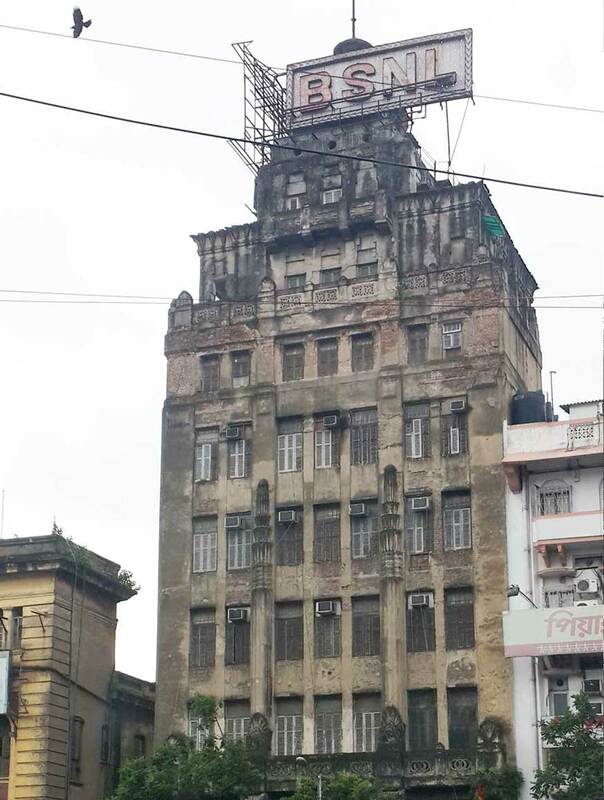 On one side we see dilapidated buildings ready to fall but life reverberating inside and on the other side we see designer buildings and colonial left overs which also throb with life. 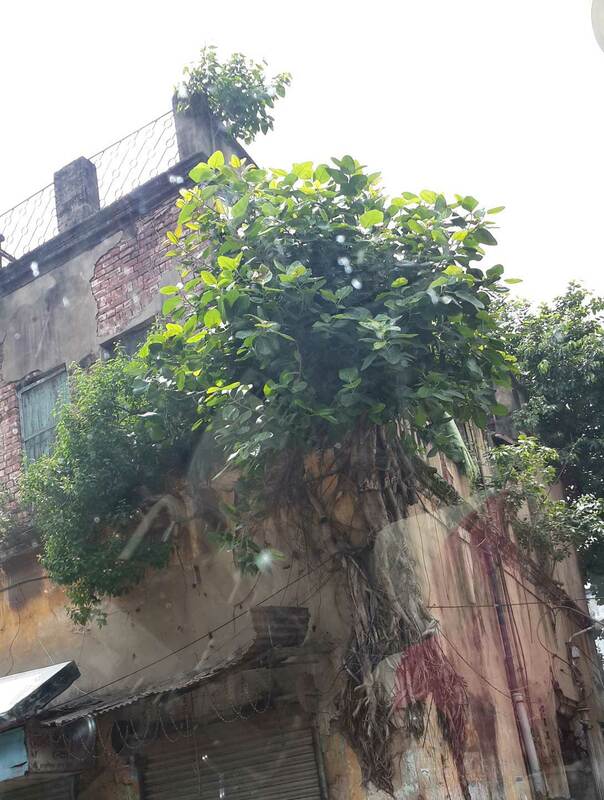 I was amazed seeing the unique visuals of plants and even trees growing on top of the buildings in which people live. I tend to think that those buildings are actually standing erect because of the roots on them! 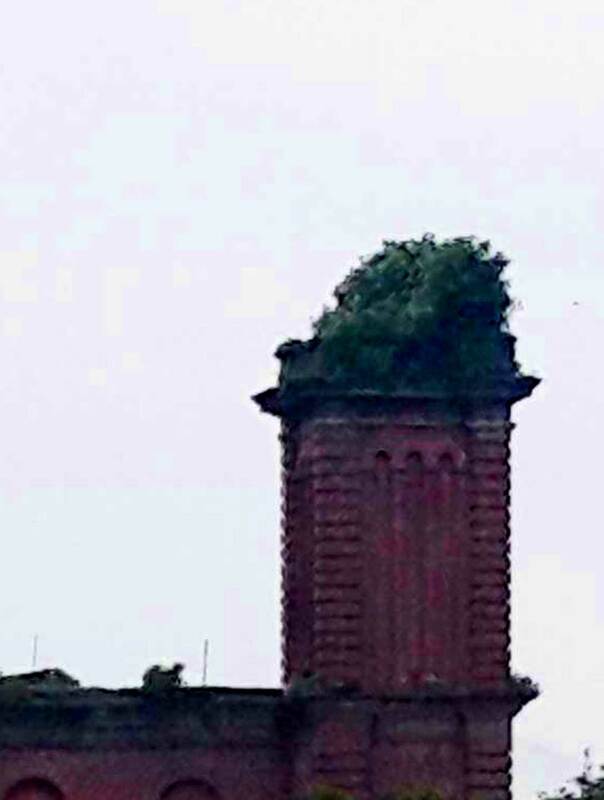 And another side of the trees on building site was the plants grown on the chimneys of the erstwhile factories that are condemned to natural death. Certain British shipping companies are also included in this. I am told that many of those buildings that were deprived of any renovation or demolition are due to litigation. Not surprised because the state is populated with a very politically aware bunch of people. Your chest swells when you see the football grounds of the famous clubs Mohammedan Sporting Club and Mohun Bagan A C. You feel proud when you see the birthplace of Tagore! You feel exhilarated when you imagine that you are walking through the streets and roads where once greats like Tagore and Ray walked! You feel proud when you remember that you are in the land that gave birth to the likes of Subhash Chandra Bose who never believed in getting freedom from the British by begging. Many many more names in that list that never seem to end. I am sure their vibrations can never die out. Alas! Are we really seeing the same now? Are we feeling only the remnants of the lost glory? 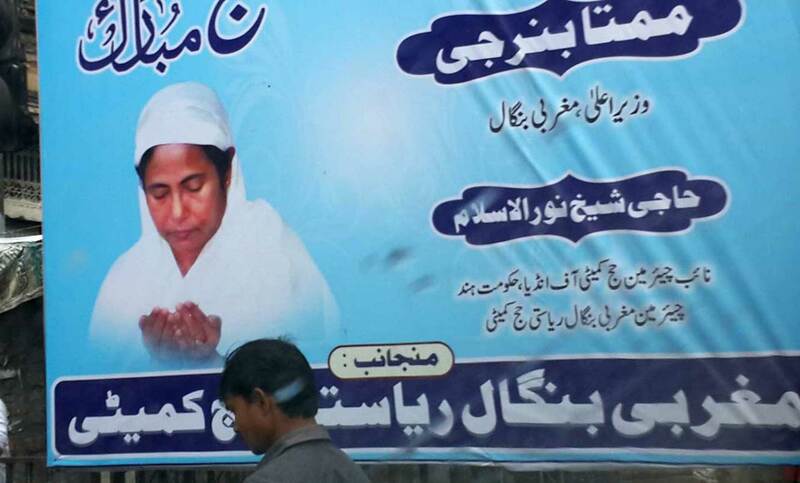 Seeing a hoarding, my daughter asked me, “Achha, is Mamata Banerjee a Muslim?” Then I noticed a poster with ‘Didi’ offering Namaas (A Prayer normally done only by Muslims). I just told her that Politicians do not have any specific religion. All of them call themselves secular. I didn’t want to pollute her thoughts saying the facts and I do not want to discuss politics in here. 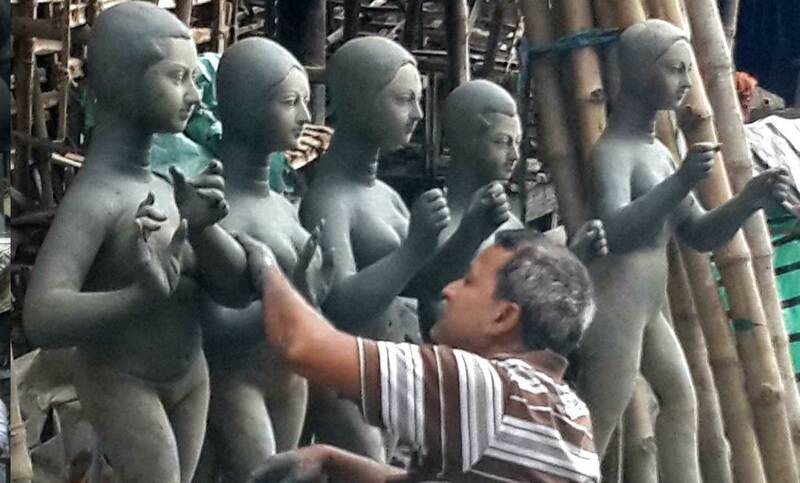 Anyway, these pictures are very special to West Bengal!!! 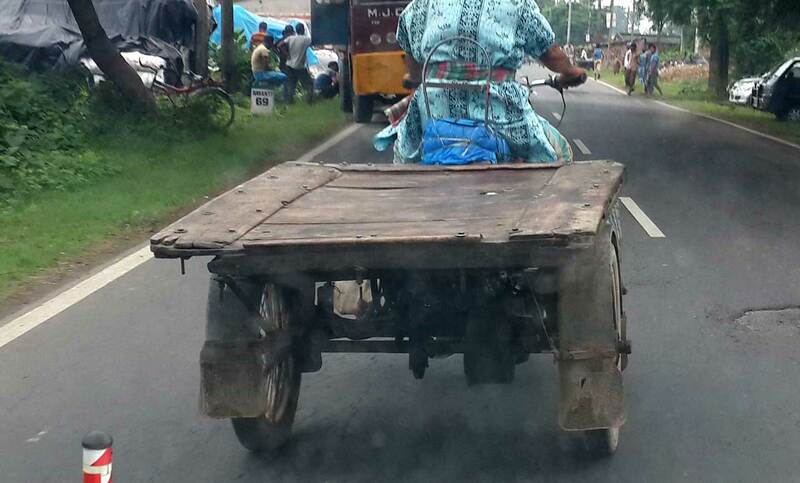 West Bengal should be proud to have different kinds of Rickshaws. 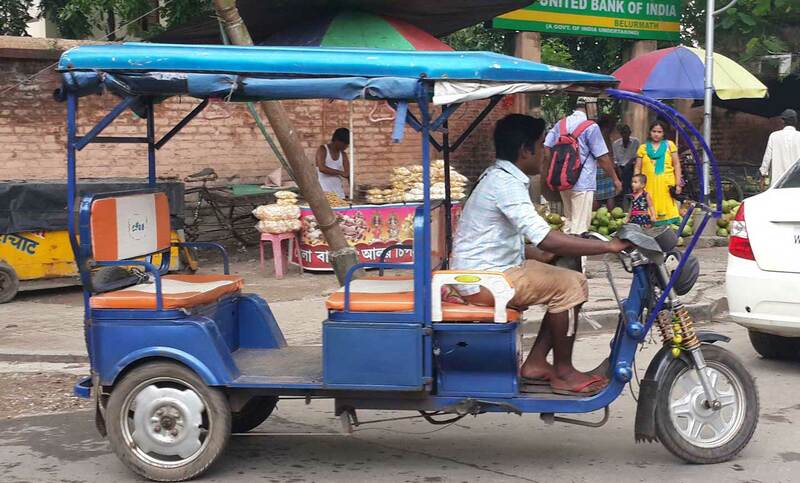 Rickshaws pulled by men, Rikshaws working on Water Pump Motor, Rickshaw working on normal fossil fuel and most interestingly Rickshaw working on Battery! That is called TOTO there. Very cute name indeed! The last one looks very thoughtful. No noise, No pollution and very stylish. 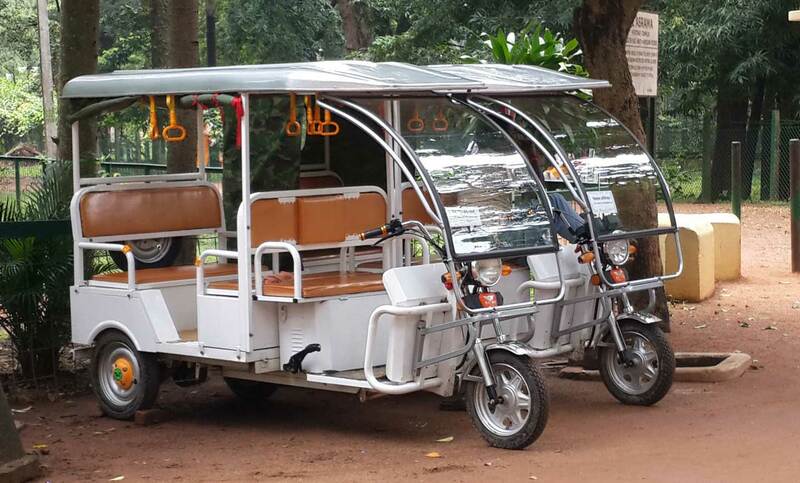 The Battery Rickshaws are special with great style as you can see. Kudos to whatever small contribution towards reducing pollution! THE NATIONAL STRIKE – The day I will remember for good reasons! On the 2nd of September, the Trade Unions declared a nation-wide strike. Though we had to stay indoors for most of the day, we had a wonderful experience. 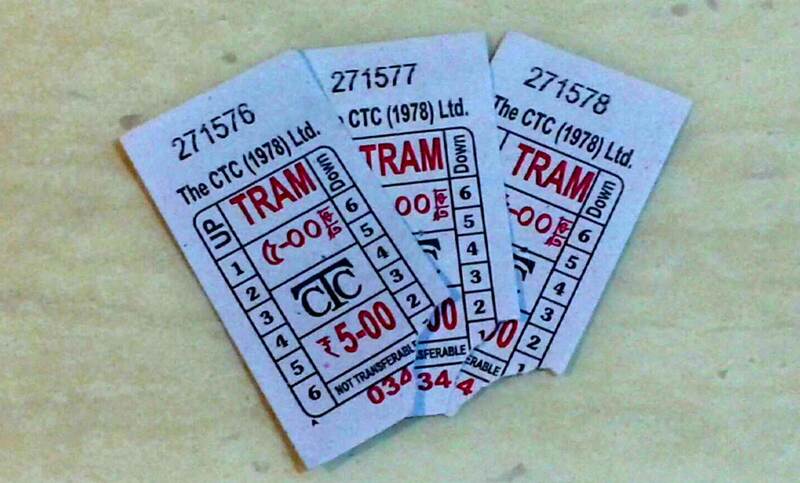 We ‘experienced’ Kolkata’s own TRAM RAILWAYS, Kolkata Taxi and Kolkata Metro. I was told that the only thing worked on that day was Tram and we decided to try that. We were staying just opposite to the famous Kalighat Temple, another landmark of West Bengal, from where we were supposed to be picked up for our Sundarbans trip. We walked slowly to the main road and we saw that wonderful creature moving slowly but in a magnificent way. In Sanskrit, there is a saying ‘Gajaraja virajita mandagati’ which means ‘moving slowly and majestically like an elephant!’ We felt the same seeing the age-old tram with two bogies moving leisurely across the road vacant due to the strike called by the Trade Unions. Though the pair of bogies is totally in bad shape, it had its own beauty. It had its own style. We decided to take a ride. We saw it going into a garage/parking and we waited. And when another one came out, we boarded. It was getting dark already. The interior of the tram, though looking very old and rusted in some places, was pretty neat. 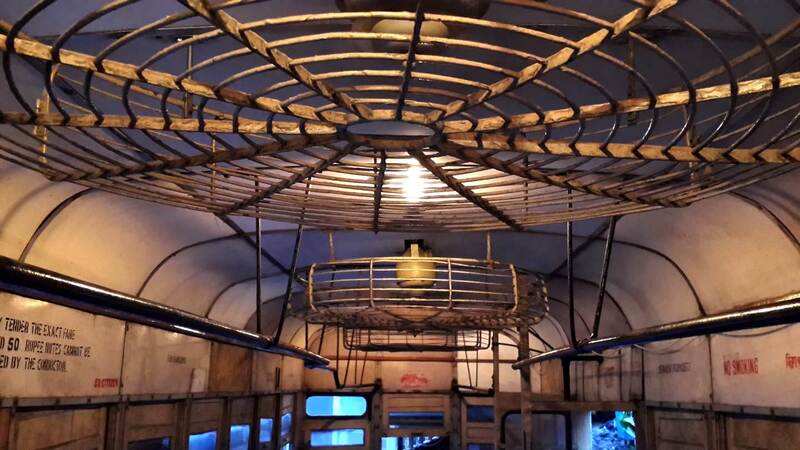 It had huge ceiling fans the cover of which almost touched the sides of the compartment. I went to the front and explored the Pilot’s room. 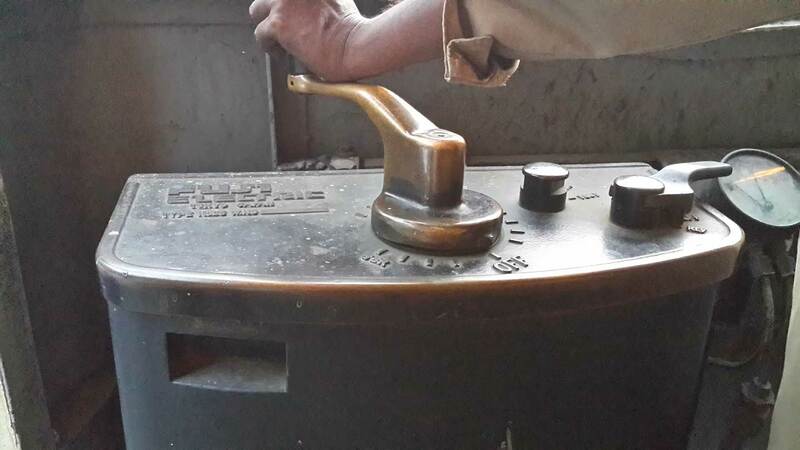 It was very simple and only a couple of levers. That’s it. This travelogue kindles those poignant memories of our childhood travels to our natives in an intriguing way. The article was worth reading. 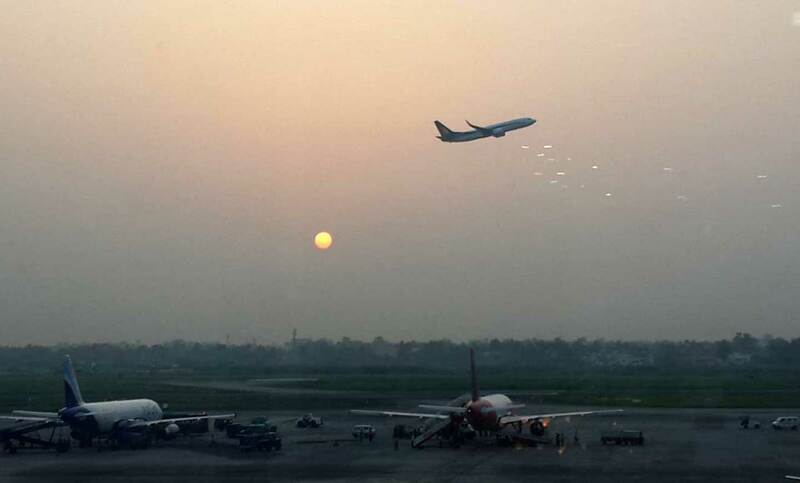 You have given us an insight to life in Kolkata by sharing your experience. One of the historic cities of India which is trying to revive it’s past glory. The images posted were awesome. Thank you! Wonderfully written. We can feel your nostalgia and awe of the city through your ruminations..kudos to you. Wonderful! Your writing has so much clarity. I particularly like the way you categorised travel. The perspnal element is quite something thst adds to the charm of your writing ! Travel literature is your forte I guess.I can almost see you writing travel books a la Huxley, Amitav Ghosh and Darlymple! No kidding! I am glad that you liked it. That too coming from a Professor and Head of the Department of English! It certainly adds lot of value… Will alert you about the next instalments of the Trilogy. Photos And the text are wonderful! I’m especially touched form the conversation you had with your daughter. Yes, it is such a shame that religion has become a toy we use to cheat the public… I’m very touched since I believe all religions in the essence are humanist but today religion wars kill many innocent people. Ignorance, lack of understanding of religions And use of Faith of people for one’s own benefit may cause irreversible consequences. Thank you, for your thoughts, Yesim! So true. These days, religion is used as a tool for personal and political gains! And that is the reason I want to keep ‘politics’ out of my Website. I wish people become more spiritual than religious! Nicely penned & captured your joy’s in the city of Joy !! Enjoyed thoroughly reading it . Glad you liked it, Manuj… Try to catch up on the other articles as well. Very well written. Loved it. Feel like visiting all of them! That’s great, Divya!!! You should indeed visit in person to really feel the place. 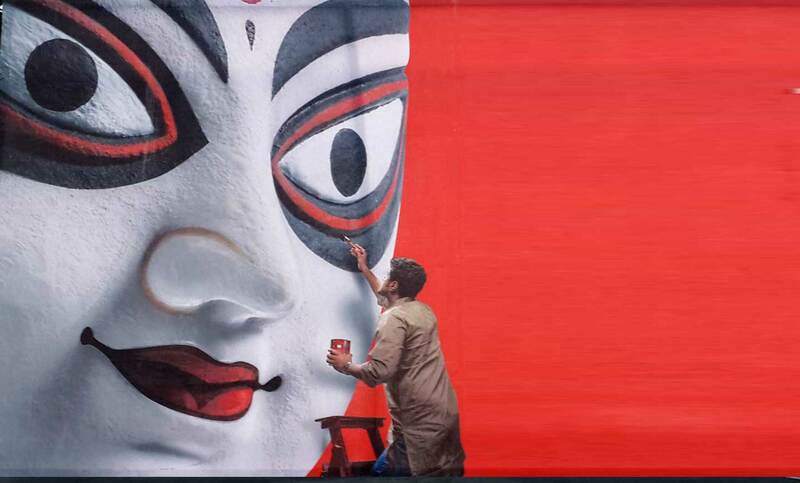 Kolkata is a place with lot of mysteries and a very special feel especially with regard to the culture which is in tact. Standby for the next posting on “SHANTINIKETAN”and “SUNDARBANS” there after… Those places are very different and very special. While Kolkata, like any other Indian City, consumes you big time, Sundarbans is a place that liberates you! Hari your write up is very nice an d IfeelthatI had been to that place. Expecting more. Thank you very much, Girija Chechi. More on the way. Try to find some time to read the rest of the posts as well. Very happy to read and experience the warmth of Kolkkatta life.While reading Kalighat temple I recalled my childhood days in Calicut Sree Ramakrishna Mission Asram where I studied and stayed for 6 years and read lot of books of Sree Ramakrishna Parama Hamsa and his experience in Kalighat Temple which he later explained to Swami Vivekananda..It was an amazing and memorable experience in Calicut Asram and thanks for the write up….Raji. Glad that you liked the article. Thank you for your thoughts. It is indeed a great episode wherein Sree Ramakrishna Paramahamsa helps the then Narendra to ‘see’ Bhadrakali! 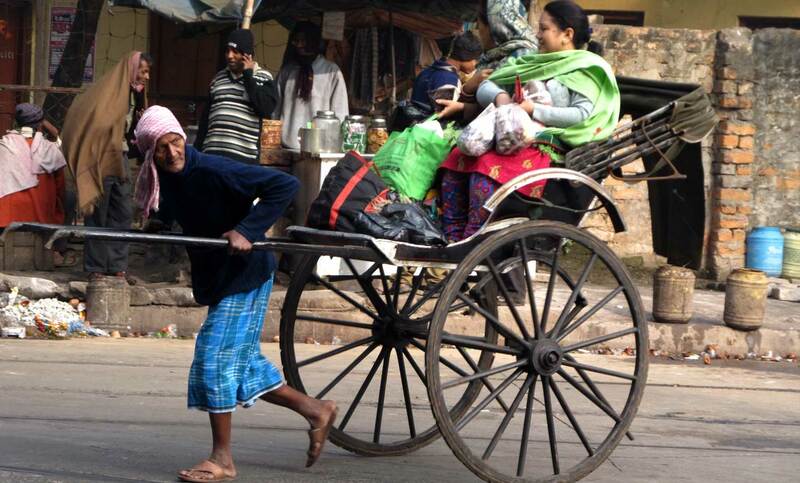 kolkata is place where extremities of every walk of life throbbingly exists and strikingly can be felt pulsating through the veins of the city. The oldest seat of arts and culture be it the shantiniketan or the highly proactive and advanced way of life at Rajarhaat,New town is there for all to see. 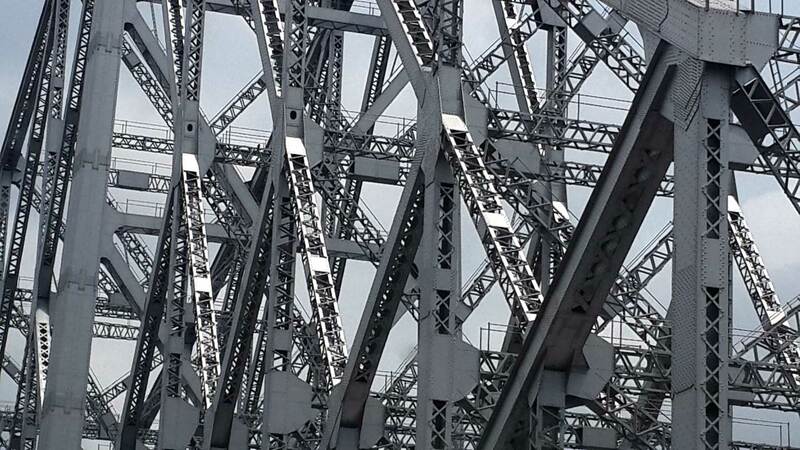 The famous architectural marvels of the howrah bridge ,writers building,burra bazar, Fort william and St Pauls cathederal are a jaw dropping site to behold.The hoogly river side has a parallel civilization consisting of the boatmen,rustic masseurs and the pawn peddlers making a living handed over by generations, is to be seen to believe.The sporting frenzy of the bengalis during and after a slugfest between arch rivals Mohd sporting and Mohan Bagan is a scene straight out the chariot race scene of BEN HUR. Culturally the people are passionate about the Theatre plays which have given the main stream cinema a run for money,not to mentions the discussion episodes and dissection stages enacted after each show for the next fortnight. Mr Hari,really appreciate, capturing the city that never sleeps in its elements.looking forward to see more of your memories in days to come. Thank you for taking time to read through the article. I am very happy that you enjoyed reading it. Amazed to see the level at which you have reacted. Many of my friends belonging to Kolkata also appreciated tge detail in which the story is written. Thank you again. Please read through the other articles as well. I would love to get your thoughts on that as well. Hey there! This is certainly my first vacation to your website! in a community from the same niche. Your site provided us valuable information to function on. You may have done a wonderful job! Thank you… Do keep in touch and keep reading my articles.